Lawmakers have had debates over the encryption of police radios and the release of internal police investigation files this session. For Mitchell Byars and other breaking news reporters around the country, the police scanner might be just as important as a laptop computer. Byars, who covers everything from wildfires to mountain lion sightings for the Boulder Daily Camera, said the radio traffic helps him answer important questions from residents. Scott Franz reports on the fate of legislation that aims to promote more government transparency this session. But in recent years, dozens of police departments in Colorado have decided to encrypt their radio traffic, making it harder for journalists like Byars and the public to listen in. That encryption trend has caught the attention of state lawmakers, who for the second year in a row debated a bill that aimed to limit encryption to just tactical channels like those used by SWAT teams. Byars testified in support of the bill. But several police officers came out against it, saying open police radio channels put officers at risk. Lawmakers from both parties on the House Local Government Committee sided with Smith and the panel voted, 6-5, to kill the bill. Rep. Rochelle Galindo, D-Greeley, said she was especially concerned about a story she heard of police officers who were killed by people who learned of their location on a police scanner. “I think this is very vital to ensuring the safety of our officers,” Galindo said of encryption. Advocates for government transparency saw the rejection of the bill as a big setback. Jeff Roberts, of the Colorado Freedom of Information Coalition, said Monday he expects to see more police departments “go silent” and encrypt their traffic in the coming years. “This is going to make it much more difficult for breaking news reporters to do their jobs,” he said. But transparency advocates are celebrating a legislative victory on a related front. On Friday, Gov. Jared Polis signed House Bill 1119, which will make it easier for the public to obtain records about internal police investigations. Roberts said right now, only the city of Denver regularly releases the results of investigations into potential wrongdoing by police officers. Other police departments have withheld the records, with some saying they are contrary to the public interest. “It’s going to be harder for an agency have an officer accused of some sort of wrongdoing and then not let the public know what the facts of the case are,” Roberts said. Asked what’s next on his radar, Roberts said journalists in Colorado are fighting for more transparency of court records. 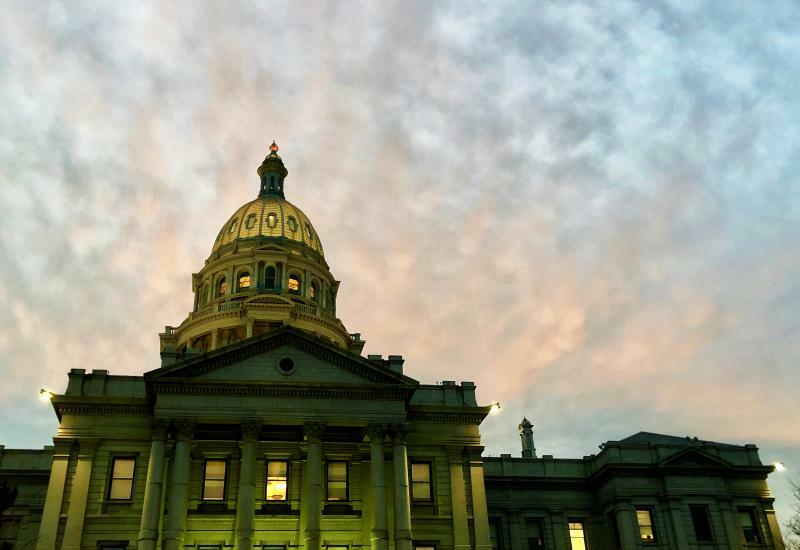 Capitol Coverage is a collaborative public policy reporting project, providing news and analysis to communities across Colorado for more than a decade. Eleven public radio stations participate in Capitol Coverage from throughout Colorado. 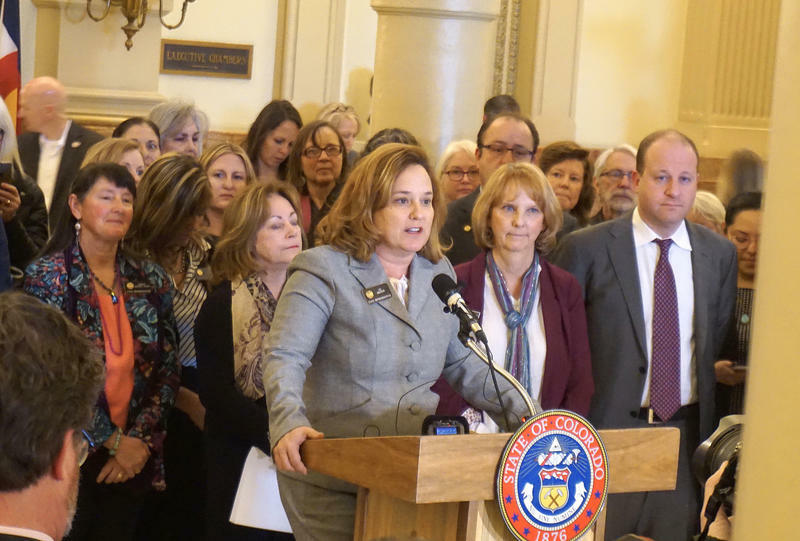 Colorado Democrats are backing a heavily-amended version of a bill to create a paid family leave program. The bill stalled in the Senate Finance Committee last month over concerns from business leaders and some Democratic. But a series of 24 amendments have gotten some of the Democratic holdouts on board, and the committee voted along party lines to advance the proposal. A bill that Democratic lawmakers say is needed to fight climate change has cleared its first hurdle at the state Capitol. House Bill 1261 would set a goal for Colorado to reduce its greenhouse gas emissions by 40 percent before 2030. It would also give a state board the authority to approve new regulations that would help the state reach that goal. Colorado lawmakers are giving the nod to a bill that requires all drivers to carry chains or snow tires - or have all-wheel or four-wheel drive - if they're traveling the interstate between Dotsero and Morrison from September to June. Cities and counties that have spent years fighting for more regulatory power over the state’s oil and gas industry are now just one signature away from getting it. 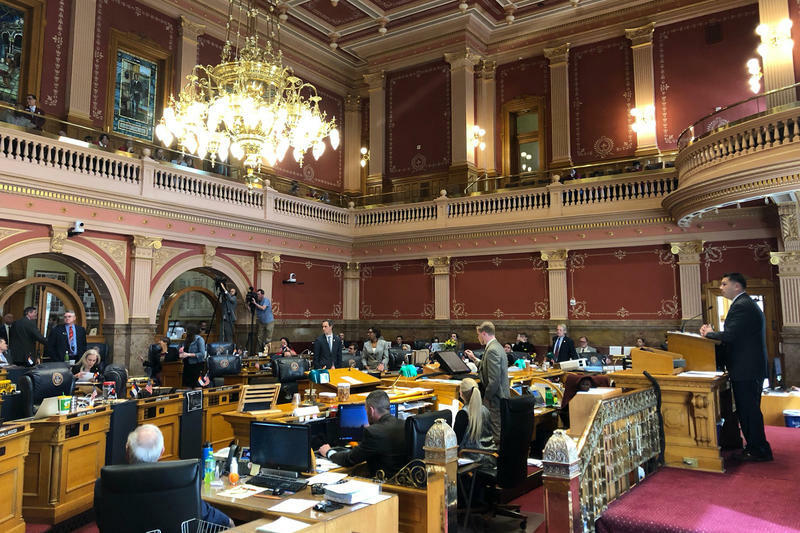 Democrats in the Colorado Senate gave their final approval on Wednesday to Senate Bill 181, which will let local governments increase setbacks and impose fines for spills and air quality violations. It now heads to Gov. Jared Polis, who is expected to sign it. 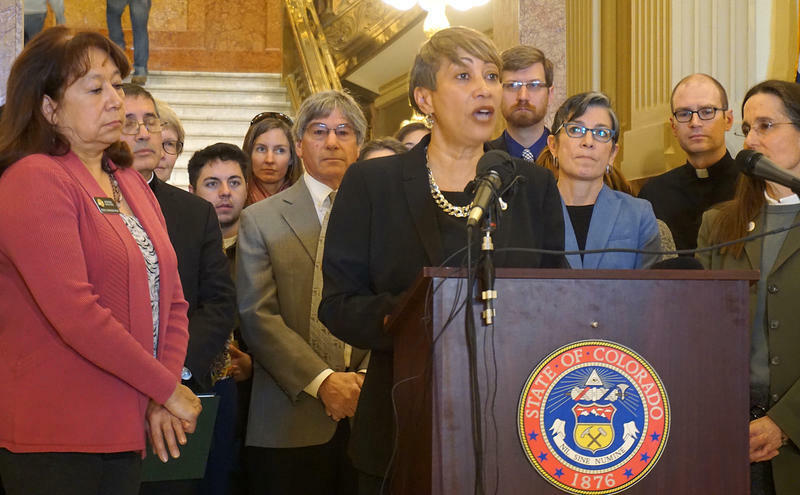 Colorado Democrats have tabled their effort to repeal the death penalty after some members of their own party expressed concerns about the bill. The proposal was stuck in limbo for more than two weeks as State Sen. Angela Williams tried to secure the votes the bill needed to clear the Senate, where Democrats hold a slim 19-16 majority.